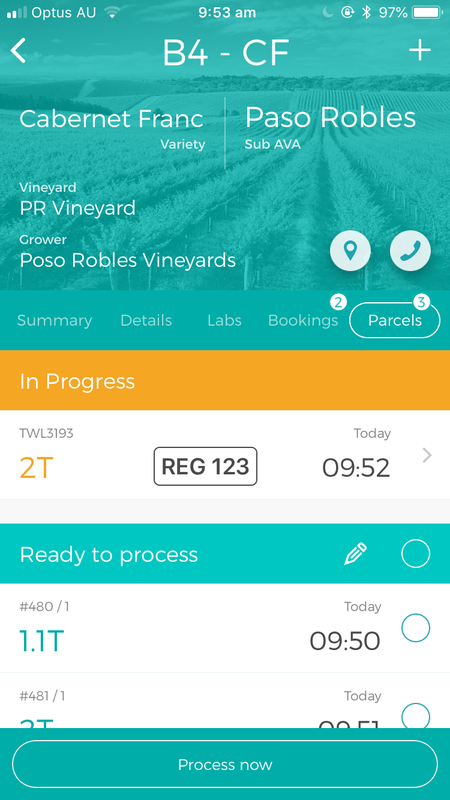 In the block view, you have different tabs such as Summary, Details, Labs, Bookings, and Parcels. 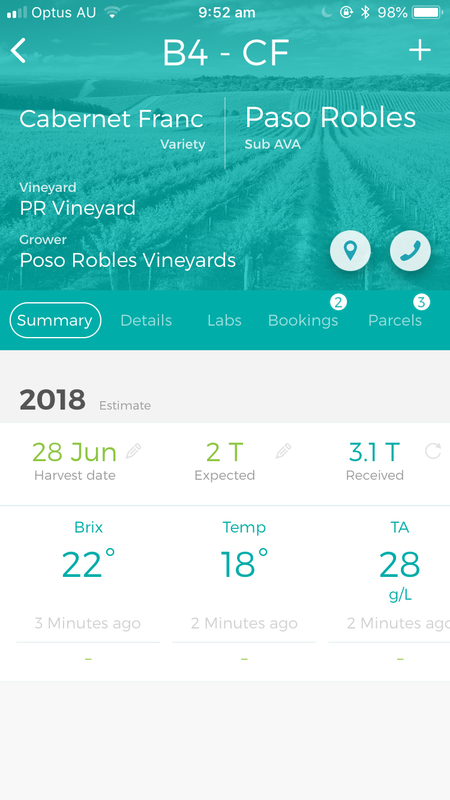 You can view and create bookings in the Bookings tab. 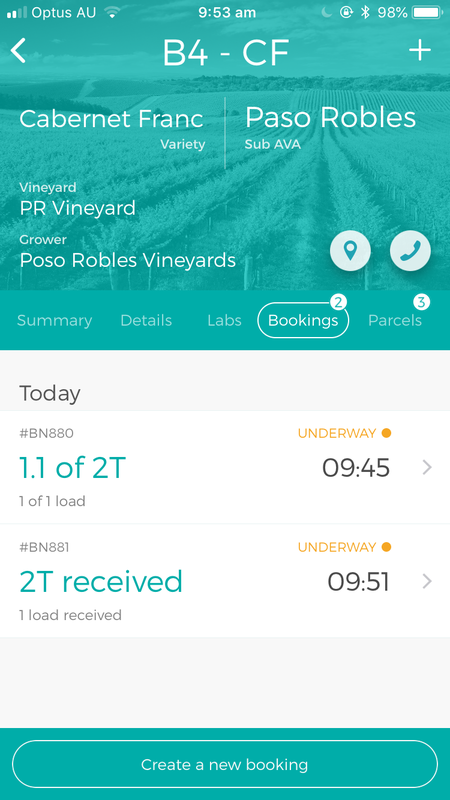 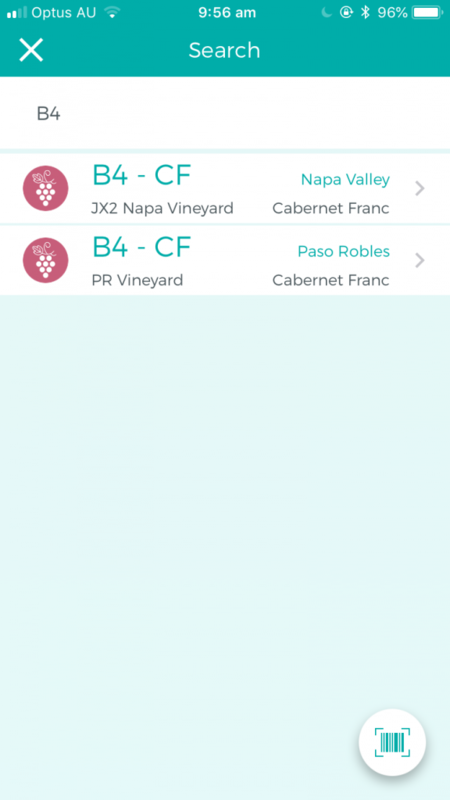 In the Parcels tab, you can view and submit fruit receivals, and process the fruit.